I'm Rise, and my twin brother Shine and I are the 3D artists working on a survival horror game that's currently going through alpha testing. We'd really like your help finding bugs and testing the gameplay! 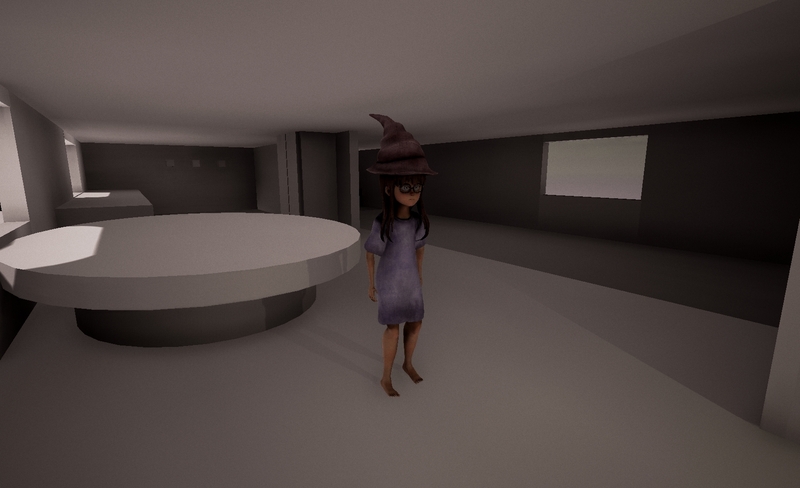 Basically you play as 1 of 3 children who are all having a collective nightmare due to a curse on their neighborhood, and you have to collect an artifact from each house in order to start the ritual necessary to wake up. Each artifact is hidden in the basement of 9 different houses, however they aren't just the ordinary basements of the houses. 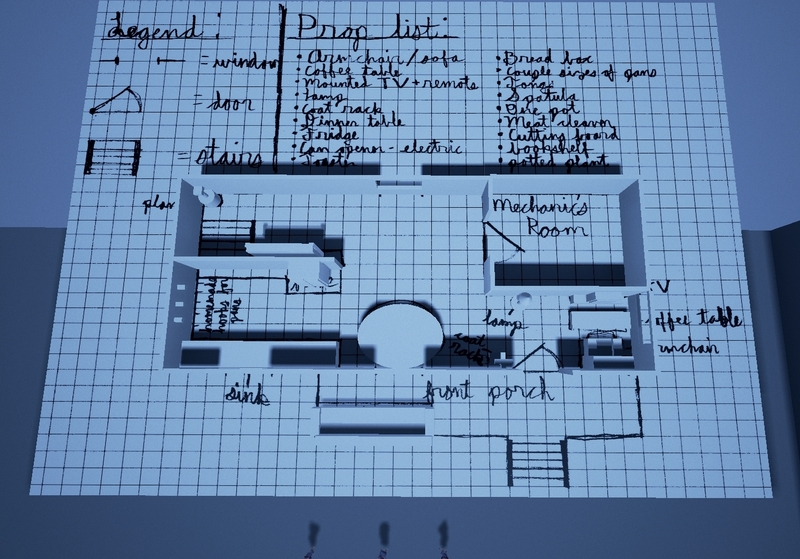 Each basement is a randomly generated surreal maze of rooms relating to that house, and the creature that stalks you while you are traversing the basement is based on the house's owner. If the player is caught by one of these creatures, they will be put into a closet and a teammate will have to rescue them, however the time limit only allows for so many mistakes. 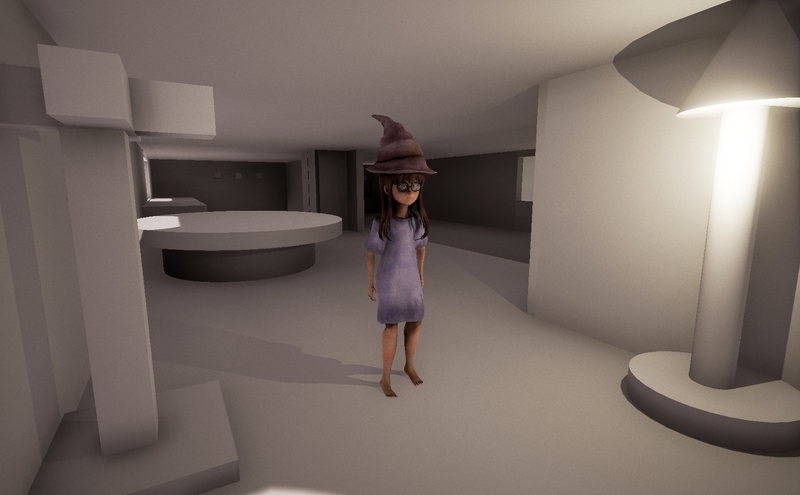 The public demo is set to be released by the end of next month, but you're all invited to run around the minimalist placeholder houses with us until then! 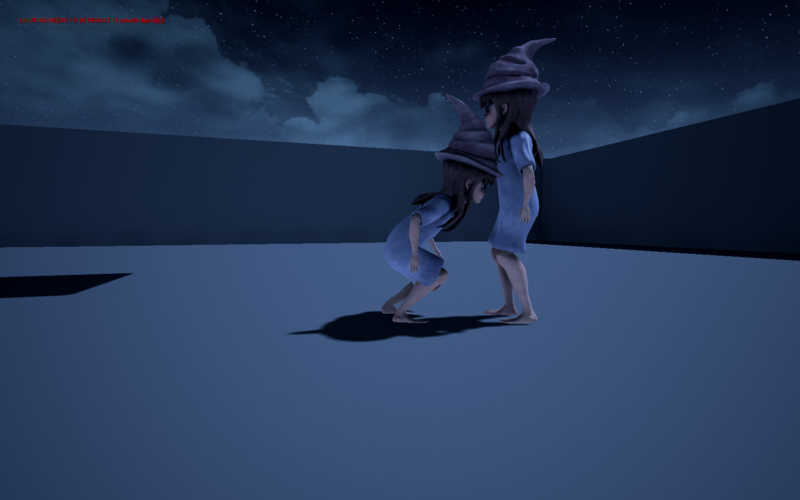 I'm also the programmer in this project, and I've already written the scripts for the random room generation and the monsters, so we're going to be starting alpha testing next week. If you would like to be a tester please feel free to join our Discord server! Other than that though, we'll keep all of you updated on our progress! We'll mostly be chipping away at the mountain of environment art that's left to be done, so keep a look out for more screenshots. Our playtests are super serious stuff.